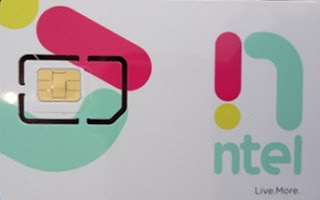 Ntel initially promised to make their sim cards available in Abuja, Lagos and port Harcourt after officially launching it but unfortunately the sim distribution has been very slow and only the Abuja residents have been able to get the sim cards so far but now I think it has finally been extended to Lagos. If you happen to be a Lagos resident and you have been waiting for the Ntel sim card to hit Lagos then I think the wait is over. The Ntel sim card is now available for grab for Lagos residents. Although this has been kept on a low key by ntel due to some few reasons, the major one been the fact that they haven't received shipment for the order of 4ge LTE devices that they placed. Fortunately for me, I was lucky enough to get this info from henryskywalker of nairaland and I decided to share it with you guys. Unfortunately the voice service haven't been fully implemented so Currently there is no voice service, all you get for now is data service and you must subscribe to one of their data plans at the point of collecting the sim card before it will be given to you. To get the sim card, just head over to 17th floor, Necom Building, Marina Lagos.